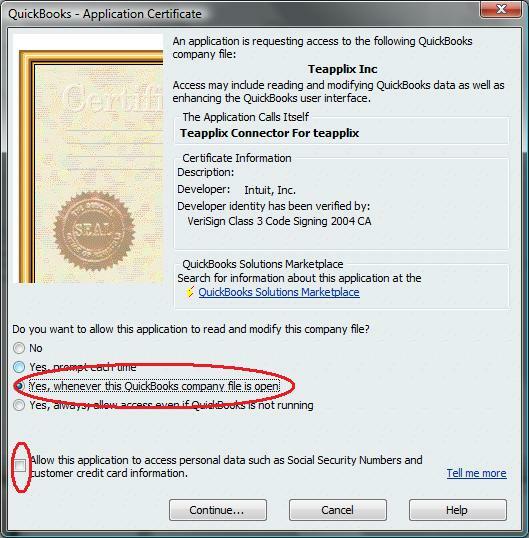 Note: These instructions are available in your Teapplix account under QuickBooks tab, and then under Integration Setup. Turn on sales tax in QuickBooks under "Edit -> Preferences". Make sure you have a "Sales Tax Items" in your item list that matches the tax rate of your state + local rates. Optional: Create "Discount" items to represent fees. Teapplix can optionally track fees like eBay final value fees PayPal fees and Amazon marketplace fees on the exported orders. Fees will be represented as a "Discount" on the exported order. If you want Teapplix to track fees, you need to create "Discount" items in your QuickBooks before linking it to Teapplix. Optional: Create inventory items so you can map your sales to them. 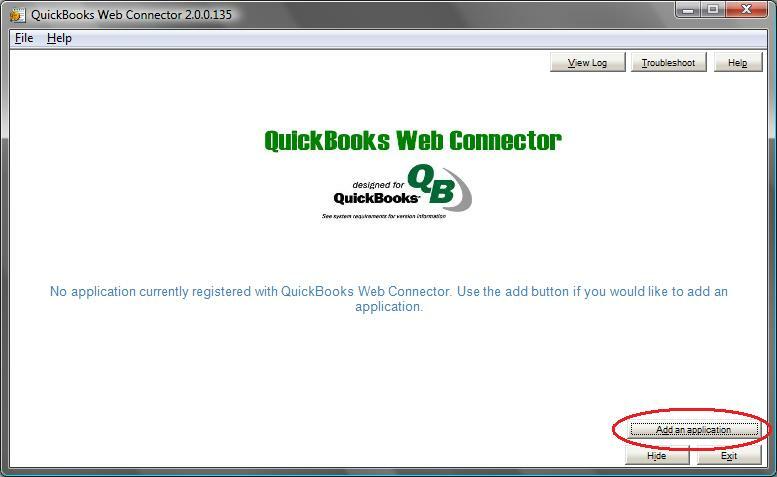 Download and install QuickBooks Web Connector here. 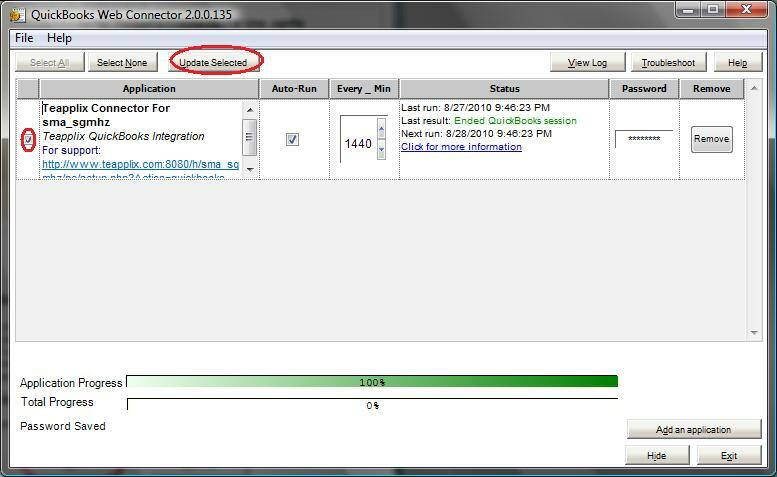 Launch Web Connector as well as QuickBooks.